Keeping track of the deer populations in NYS Parks isn’t a pretty job. 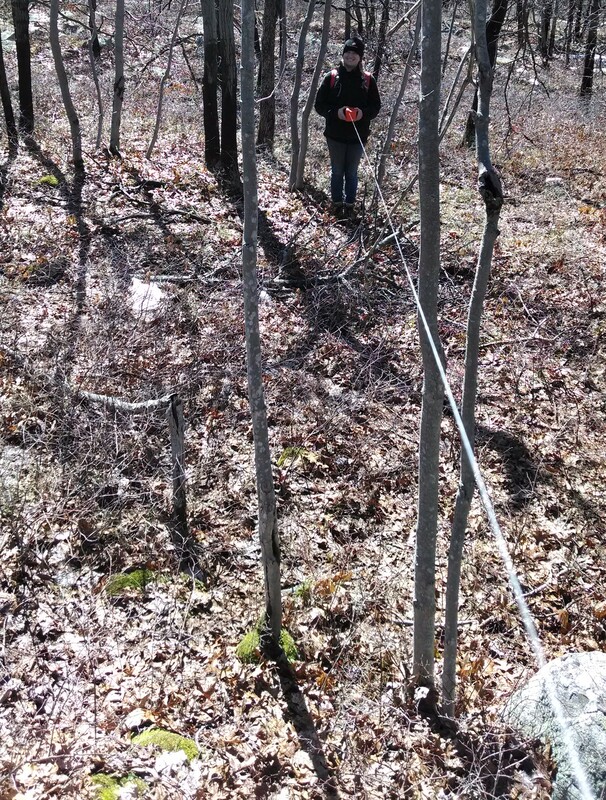 On Monday, March 31st, a team from New York State Offices of Parks, Recreation, and Historic Preservation traveled to Schunnemunk Mountain to carry out a deer pellet survey. 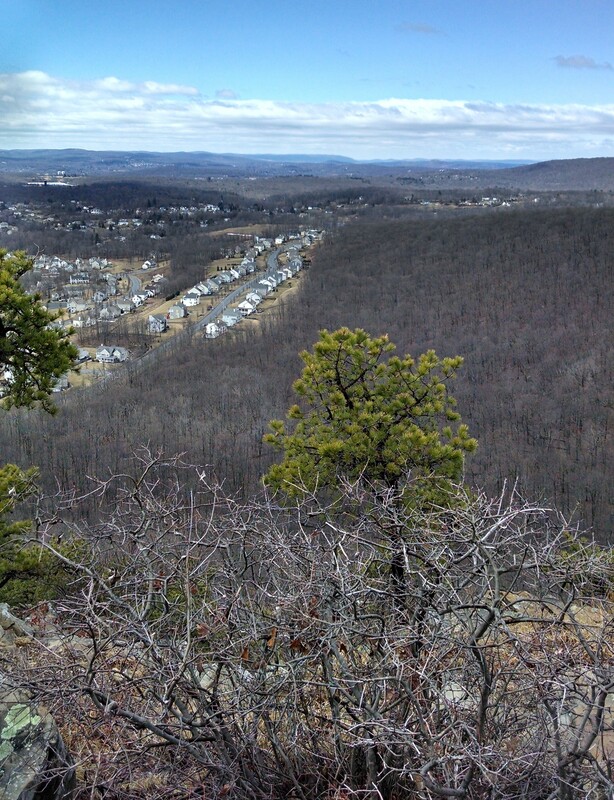 Schunnemunk Mountain is located in Schunnemunk State Park in Orange County. One problem that the state parks are facing is deer overpopulation. The large populations of deer are eating native plants and causing a decrease in biodiversity. 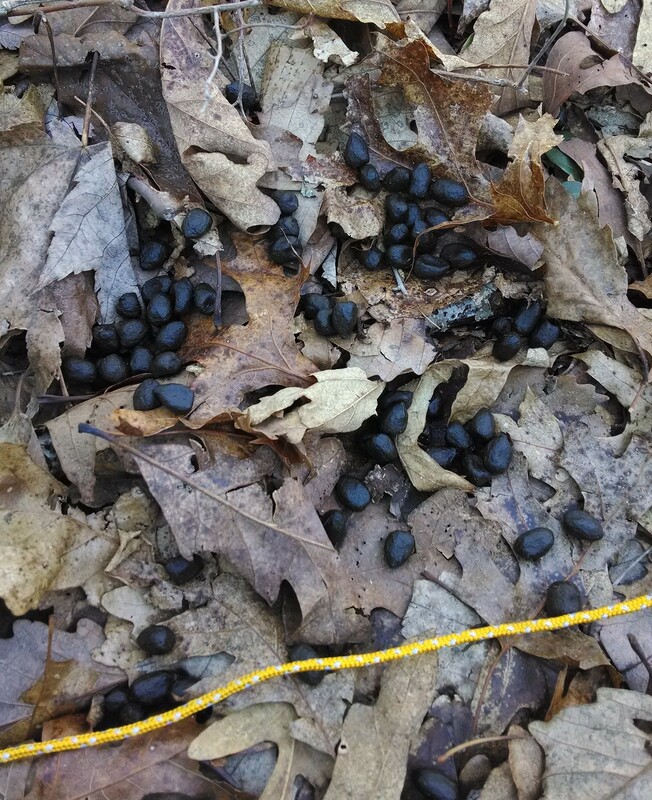 To inform our knowledge of deer populations, State Parks monitor the deer pellets left in parks to estimate the number of deer in a region. 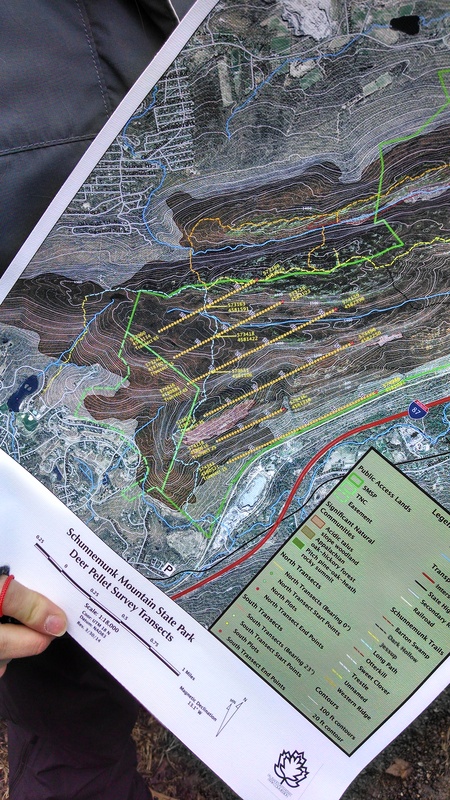 To make estimates of deer numbers in a large area, wildlife specialists draw parallel transects across the park area. 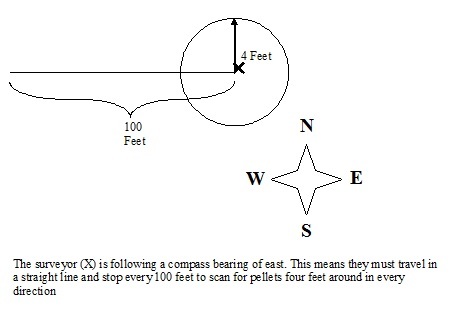 Following the transect using compass and GPS, the surveyors measure out points 100 feet apart and scan the ground for pellet groups at each point. Points have a radius of four feet in every direction (See figure below). When counting pellets, we look for at least 10 pellets in a grouping. The number of pellet groups can help surveyors estimate the number of deer living in the area. Naturally, this process involves scrambling through thick brush, across boggy creeks, and over big rocks, but it is all in the name of science! Of course, it also means catching some lovely views from the top of Schunnemuck Mountain. 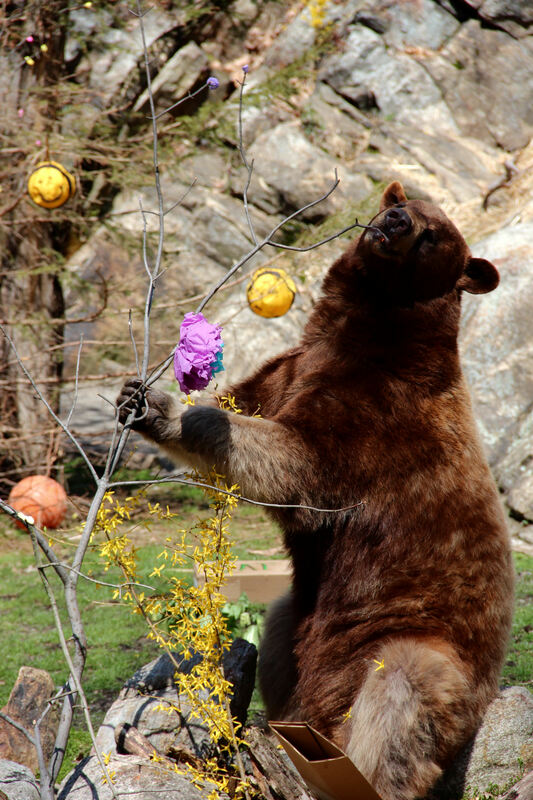 The NY Department of Environmental Conservation maintains about 3-5 radio-collared female bears every year in order to collect long-term data on the reproduction and movement of black bears. As you can imagine, getting collars on bears is not an easy business. 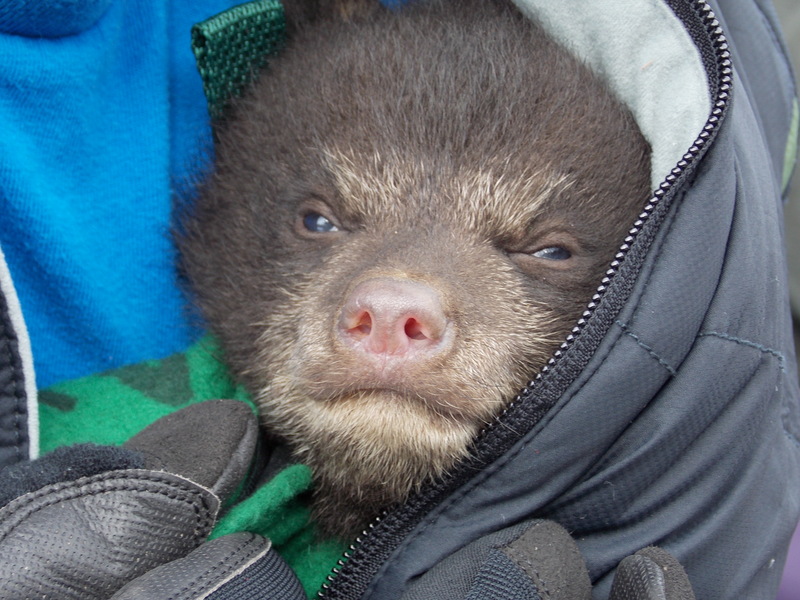 This winter, when a rabbit hunter hunter reported a denning black bear with cubs at Pinnacle State Park, the DEC knew that this was an opportunity that couldn’t be missed. Adult female black bears give birth every other year, with birthing occurring around mid-January. Collars are never put on small cubs because they grow quickly and the collar would pose a strangulation risk. However, DEC felt that the mother bear identified by the hunter would be an ideal target for collaring. 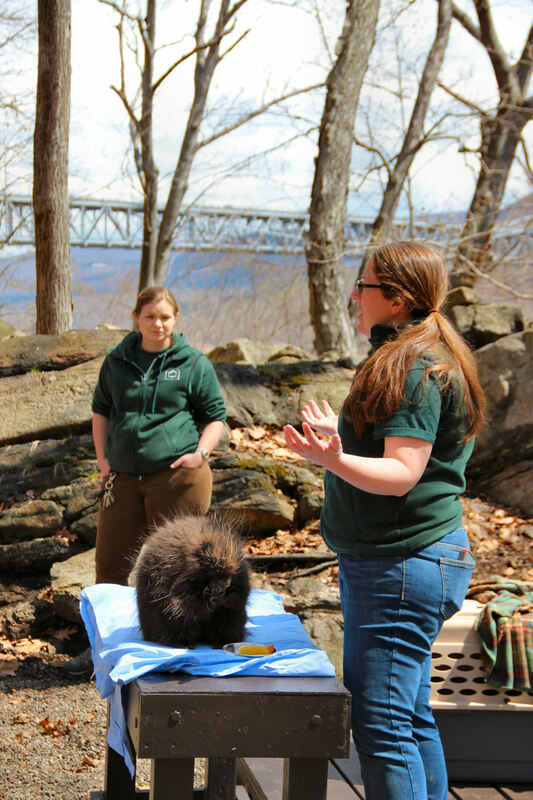 This winter, DEC partnered with State Parks, the Black Bear Management class at Finger Lakes Community College in Canandaigua, and veterinarians and technicians from Seneca Park Zoo in Rochester in order to radio-collar one female black bear. 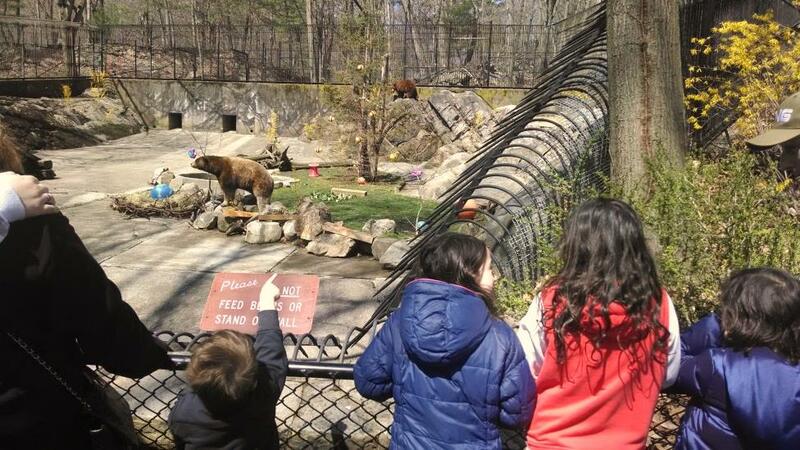 The process involves tranquilizing the bear while still in her den in order to attach the collar. Because the bear is usually immobilized for half an hour to an hour, the specialists also need to care for the cubs and keep them warm while others are working on their mother. Bear cubs are very cute, but please remember that approaching mother bears and cubs, in their dens or out, is extremely dangerous! Salamander migrations are annual events that happen within a very short time frame every year. Salamanders are cued to specific temperature, humidity, air pressure and light conditions which signal to them that it is safe to travel. This typically occurs on the first rainy night above 45°F in the late winter or early spring. Although the salamander migration often occurs on one big night, this year’s inconsistent weather led to a series of smaller salamander movements that were staggered across a few weeks. Salamanders belong to the group of animals called amphibians, which all share the ability to breathe through their skin. For this reason their skin must remain damp at all times, which is why rainy conditions are necessary for any long-range movement across land. When salamanders migrate, they are moving away from their overwintering spots in wooded upland areas to vernal pools in lowland areas and depressions. Vernal pools are temporary pools created by spring rain and snow melt that dry up by mid-summer. Predators like fish and turtles cannot live in vernal pools, and so they are a strategic habitat for salamanders to breed and lay their eggs. Once they have arrived at the vernal pool, male salamanders perform courtship dances to attract mates. Once they have paired off, the males deposit sperm packets on the twigs and leaf litter in the pond, which the females pick up and use to fertilize their eggs, which are laid underwater in groups of 100-300. On the next warm, wet night the adults will relocate to their summer habitats – usually a cozy spot underneath a rock or log. Salamanders are extremely vulnerable during migration events, especially when their routes require them to cross roads. Many State Parks organize volunteer groups to meet on these special nights to act as amphibian crossing-guards. A few weeks ago, some friends and I took a slow night drive on the county roads near Thacher State Park in Albany County to see if we could help any salamanders on their journey. We saw plenty of salamanders, and frogs, too! Spring is finally here, and do you know who is migrating back to New York? Normally, the first answer to this classic question is “the birds.” Migrating birds are one of spring’s most welcoming signs, but there are other visions of spring popping up everywhere. If you don’t believe it, just check the new grasses and the plants just beginning to grow. It won’t be long before the caterpillars start crawling and the dragonflies begin darting. Caterpillars are one reminder that spring is in bloom and summer is right around the corner. During this time of the year, the butterflies are finding their way back to the northeast where they lay their eggs, which hatch into caterpillars as quickly as 3-5 days. You’ll have to look closely for this camouflaged butterfly. The morning cloak will eat rotting fruit so scan around fruit trees or berry bushes in the late spring or summer. One of their preferred foods is tree sap, especially from oak trees. 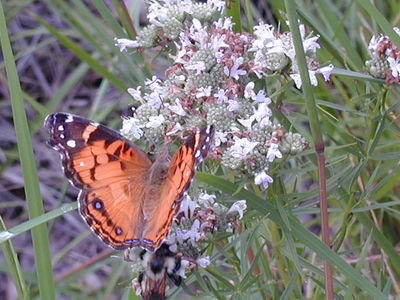 This butterfly may look somewhat similar to the painted lady, but it’s much different when it comes to food. 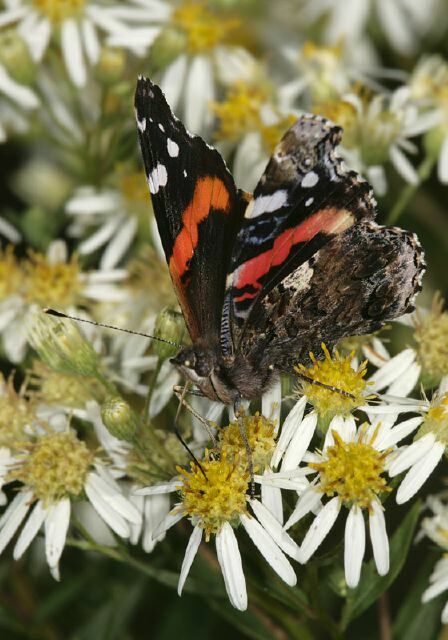 The red admiral prefers sap flows in trees and rotting fruit, but if it can’t get that, it goes for flowers. Oddly enough, this butterfly also enjoys bird droppings, but you don’t have to worry about putting those in your garden. Eastern Tiger Swallowtail. Photo by Lilly Schelling. This big butterfly certainly lives up to its name. 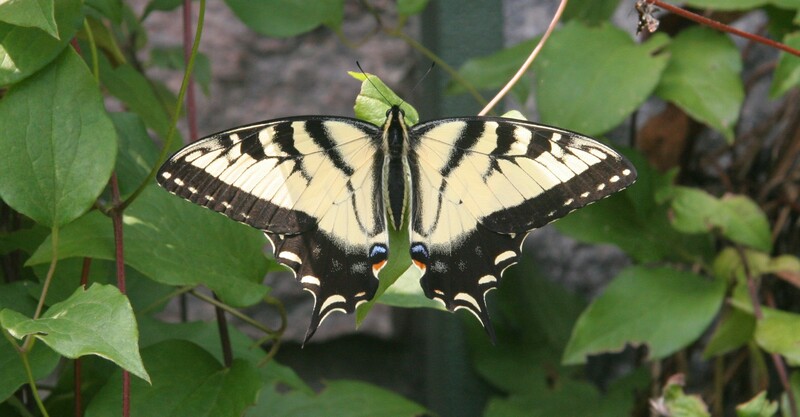 The eastern tiger swallowtail enjoys meals of wild cherry and lilac. 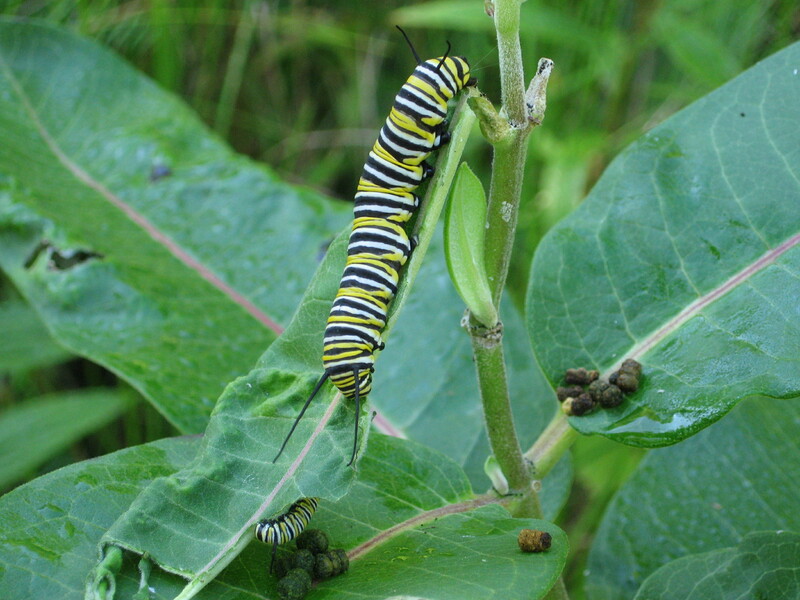 Like the monarch, it also feeds on milkweed, especially in the summer. 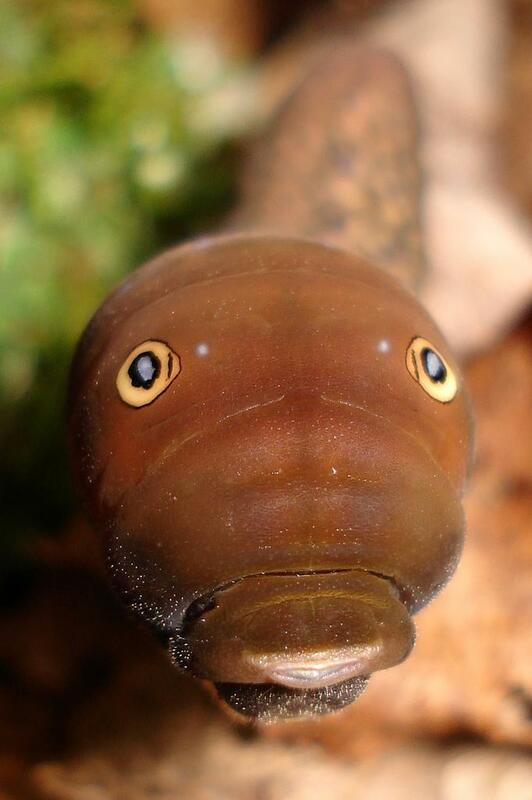 Its caterpillar can fool predators with the amusing eyespots on its large head. When planting your butterfly garden, make sure to keep some space between the plants for easier tending. It may take some time for the butterflies to become aware of the new food source, but with patience and time, you are sure to see them flapping before long. If you want them to stay, consider putting up a butterfly house among the flowers. 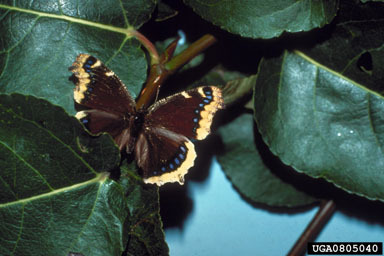 If you don’t have a green thumb, many of our state parks have butterfly gardens that you can visit, find one near you at NYSParks.com! featured image is a monarch butterfly by Lilly Schelling.